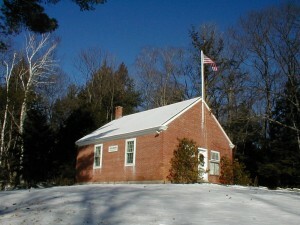 SHARON, NEW HAMPSHIRE is situated in the south central part of the state in an area known as the Monadnock Region. With a mean elevation of about 1,100 feet, Sharon is in the heavily forested highlands on the western slope of the Wapack Ridge comprised of Burton, Holt and Temple mountains. To the west lies Mount Monadnock, elevation 3165 feet, the landmark which gives the region its name.The first settlers arrived in 1738. From 1750 to 1768 the town was known as Peterborough Slip because of a surveying error which did not include the area in maps of the day. From 1768 to 1791 the town was known as Sliptown. 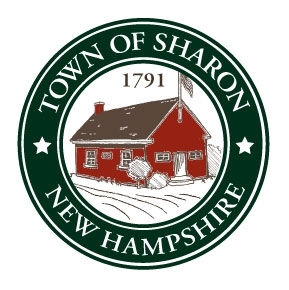 Finally, on January 24, 1791, the town of Sharon, NH was incorporated. Today, the town has approximately 340 residents living in more than 110 dwellings. The town encompasses a total of 9956 acres. The town forest and various conservation holdings account for 4991 acres, or approximately 50% of the town’s land area.